Extracted from the kernel of a matured coconut fruit, coconut oil has been used extensively in food, medicine, alternative therapies and in beauty product. It contains high levels of saturated fats and therefore does not go rancid even when subjected to high temperatures. Good quality coconut oil can last for about two years without spoiling. Coconut oil should be an indispensable part of your beauty regimen. 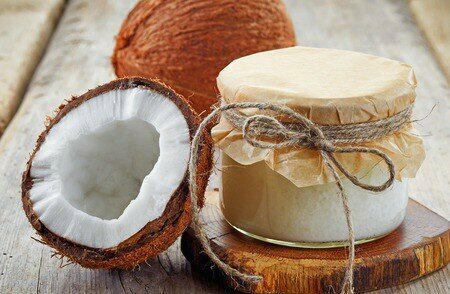 If you're not familiar with the many uses of coconut oil for skin, hair and beauty, read on. You are sure to be amazed at the many beauty benefits that coconut oil can offer. 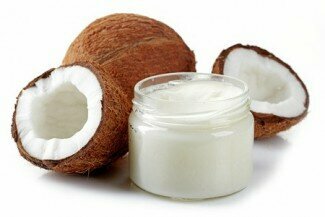 High-quality moisturizer – Coconut oil is a great moisturizer. It contains high levels of saturated fats and therefore provides deep moisturizing, unlike most of the creams that are available over the counter. A little coconut oil applied on your body after bath will leave your skin smooth, supple and hydrated all day long. Remove make-up – Irrespective of how water resistant the make-up may be, coconut oil can help you remove it after a tiring evening in a jiffy. All you need to do is apply the oil to your face like a cream or cleanser and allow it to sit for a few second. Remove the oil from your face with a clean cotton swab. Using coconut oil for make-up removal is a gentle way to remove makeup and will ensure no redness or irritation. Clean cuticles – Use coconut oil during your manicure to manage cracked cuticles. Using coconut oil during a manicure can also ensure the manicure lasts for longer. Get rid of all kinds of stretch marks – Whether you have them due to a prior pregnancy or because you lost too much weight all of a sudden, applying coconut oil on stretch marks can help fade and reduce the appearance of stretchmarks. Exfoliation – Exfoliating can be damaging to the skin if you are not careful. To make a great exfoliation product at home, take coconut oil and add in granulated sugar for a quick rub down. The soft coconut oil ensures that your skin remains unharmed. Get a healthy mouth with fresh breath – With antifungal and antibacterial properties, coconut oil should be used orally every morning even before brushing your teeth. This is also called oil pulling. With all the germs in the mouth gone, you can be sure of no bad odor in the mouth all day long. No chapped lips – Take a few drops of coconut oil and apply them on your lips for supple and fuller lips. Use the coconut when at room temperature and u can use it as a lip balm. Massage oil – Warm some coconut oil and apply it to your scalp. The ideal way to do this is to dip your fingers in the oil and rotate the tips of your fingers on the scalp for maximum benefit. Remove and prevent lice – Lice can be an extremely irritating problem. Applying coconut oil to the hair and scalp and then washing it out with apple cider can help in ensuring that you never have to face this problem with your hair. Coconut oil is also effective at removing lice. Get rid of frizz – Take a little coconut oil in your palms and then rub them across your hair. Not only will the frizz vanish, it will also make your hair healthier and stronger. Deep hair conditioning – Coconut oil is able to penetrate the scalp easily. This is why it is able to provide the deep conditioning that your hair follicles need. It helps in preventing protein loss that is so common in the scalp too. Soak a towel in warm water and encase your hair in it for even better absorption. Over and above these benefits of coconut oil, you can actually lose weight with this super food. This is because it contains fatty acids that can actually rev up body metabolism. 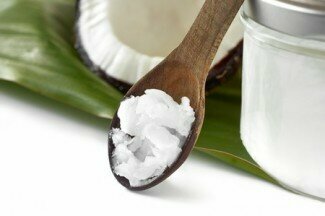 The fatty acids in coconut oil also help in better performance of the liver and pancreas. As the liver and pancreas perform to their optimum level, the right level of hormones is produced by the body to take metabolism to a higher level. Coconut oil is also thermogenic which means that it helps in burning fat quickly. For this beauty benefit, however, you will need to ingest a spoonful of coconut oil everyday! Read this article to learn more about the Health Benefits of Coconut Oil. Coconut oil comes in different types. You will find refined coconut oil, extra virgin coconut oil, virgin coconut oil, organic coconut oil and hydrogenated coconut oil. However, extra virgin, cold pressed coconut oil is the best for any beauty use, as well as the healthiest form of coconut oil since it is the only type that is not put through various chemical processes. I personally use this Organic, Extra Virgin Coconut Oil. When you want to use coconut oil for beautification (or internal health) purposes, it is best to use a brand of extra virgin coconut oil that has not been hydrogenated, deodorized, bleached or refined. Organic coconut oil is easy to find and is considered to be the best (and healthiest) option. Storing coconut oil is extremely easy as you do not have to refrigerate it. Since the oil does not go rancid, even in high temperatures, leaving it on your dressing table or on your bedside table is absolutely fine. This also means that you do not have to shy away from buying a large jar since it will last you for more than two years.